Start planning your remodel with me and get on the busy schedule ASAP. Are you trying to decide whether to replace your saltillo tile floor with wood or some other flooring? 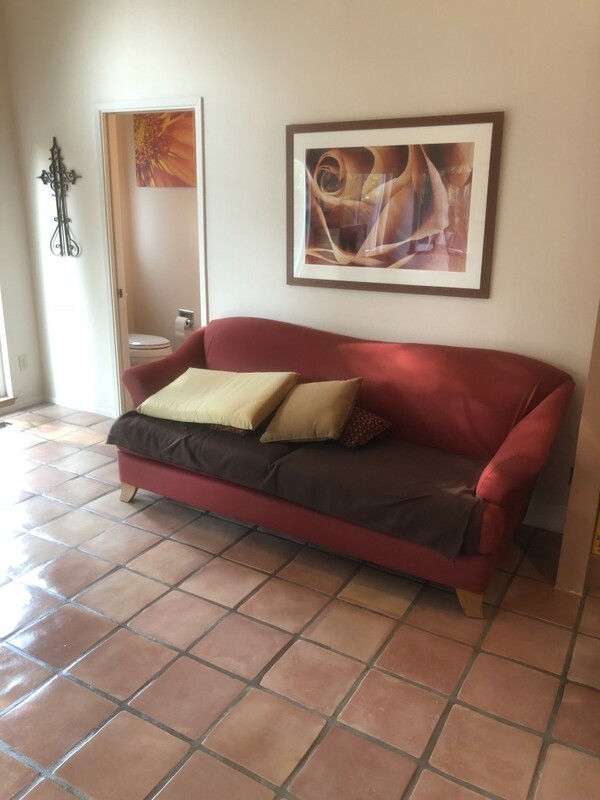 Well before you release that old terracotta tile floor let me ask, did you know you could recycle and restore those saltillo tiles back to like new condition with terracotta tile refinishing? If your saltillo tile floor is unclean able, turning white and hazy, peeling, flaking, and blistering then relax… there IS A SOLUTION! 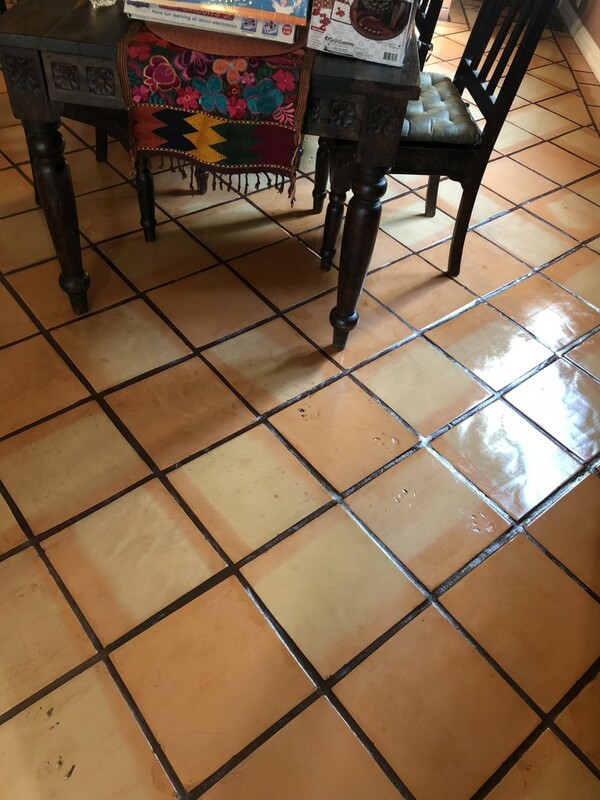 Strip those saltillo tiles to remove all of that old failing and scratched sealer and finish. 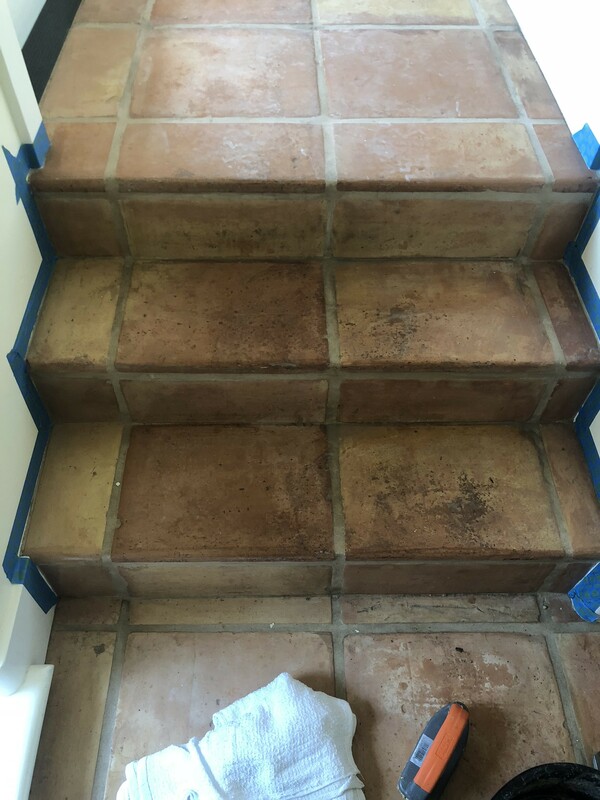 Our terracotta tile stripping process consist of removing all the old sealer, wax, lacquers, or any other topical coating finish placed on the tile previously. What makes our process unique is the extreme attention to detail you get as we strip each saltillo tile by hand on our hands and knees so that we can really get up close and personal to every terracotta saltillo tile. Stripping and refinishing this way ensures we FULLY remove all sealer and or stain from the tile so that we can really clean the raw tile. 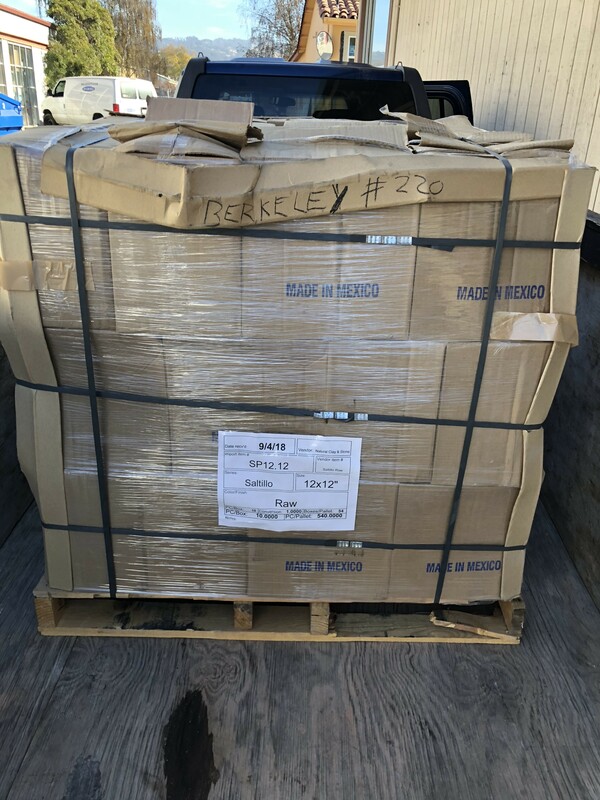 Most companies do not FULLY remove the sealer and this leads to a 2nd rate result that will leave you disappointed unless you did it yourself. Then it’s only nice because you did it. But who are you really kidding? 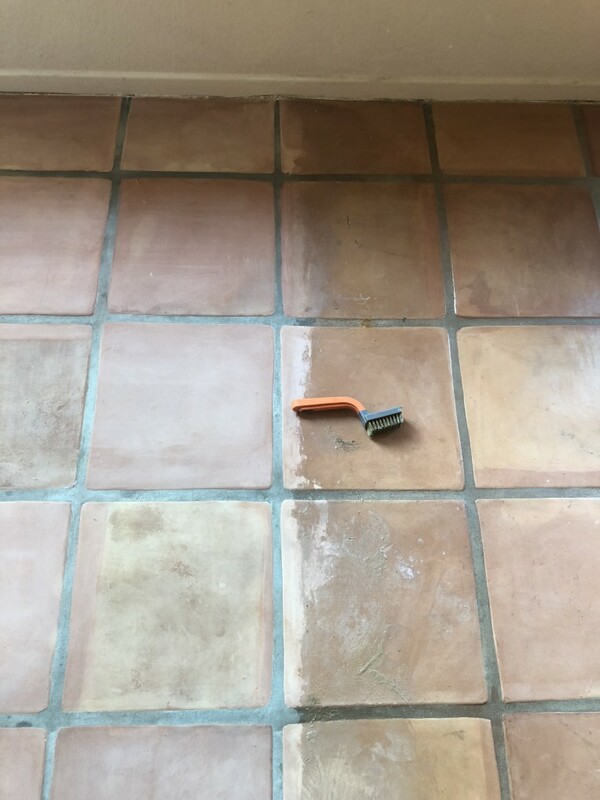 Terracotta Saltillo Tile Cleaning Done The Right Way! After completely removing all that old sealer, we can REALLY clean the RAW tiles and get them looking clean as if they were fresh out of the box.. 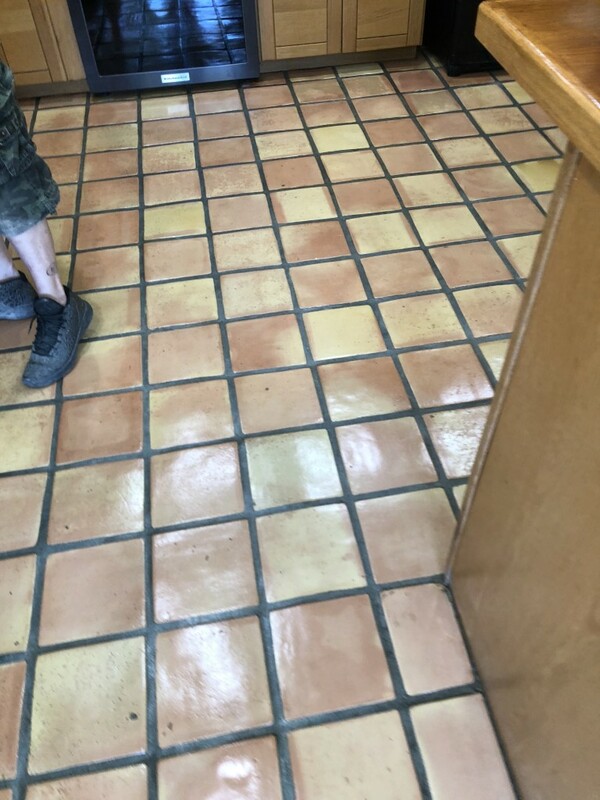 If your tiles aren’t coming clean and you’ve tried everything to maintain them then it may be time to strip the saltillo or terracotta tile floor. 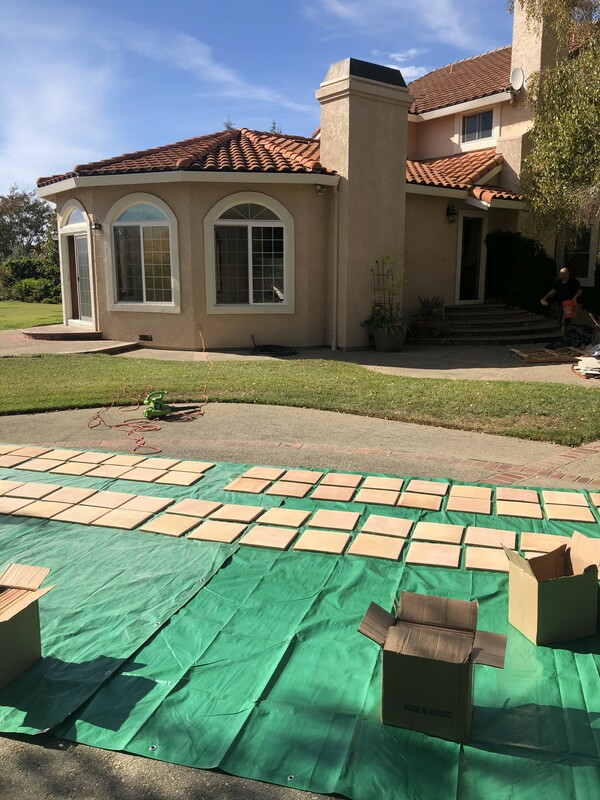 The final deep cleaning is also done by hand without machines except in most extreme cases, usually outdoors where I recommend a different sealer that will keep your outdoor saltillo terracotta tiles looking amazing and protected from stains and liquids for years to come. You can finally host parties on that saltillo tile patio or deck again. Watch this video below to see best way to clean outdoor terracotta tiles. Amazingly Clean Saltillo Tiles That You Can Be Proud Of! While cleaning will remove all dirt, grime, and or residue and film left after stripping, things really take a drastic change for the better when we apply the sealer. This is where the magic begins. It is like PRESTO! 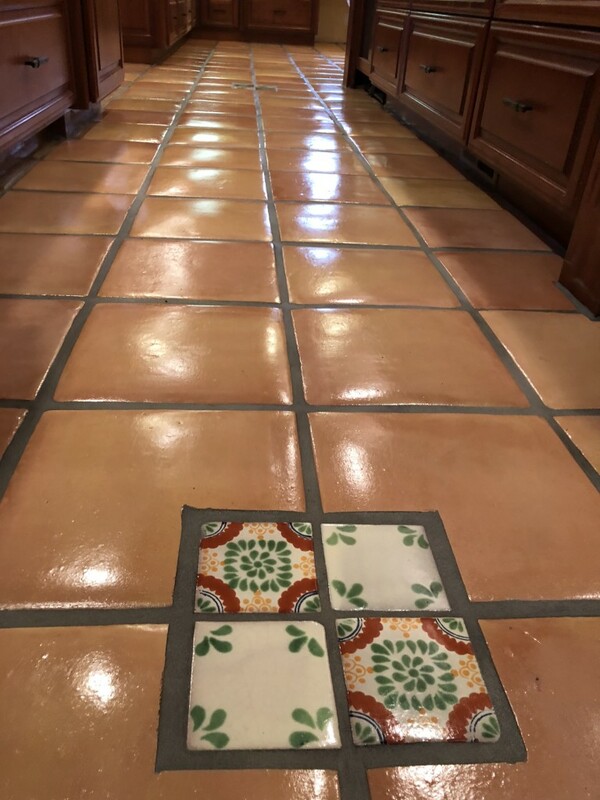 And while the bottles of sealer commonly used out there say to put on 2-3 coats, I highly recommend and will apply no less than 5 to 8 coats of sealer to indoor saltillo terracotta tiles depending on the tile and its porosity. This is a common problem most saltillo tile owners come across. Their terracotta tile floors just don’t have enough sealer. Spanish style homes look beautiful with saltillo tile flooring but if there is not enough sealer this could spell T-R-O-U-B-L-E! Another good tell tell sign that you need sealer is if your floor turns dark when wet. After applying multiple coats of shiny high gloss or low lustre sealer you will have a bulletproof sealed finish that not only adds beauty to your spanish style architecture and home, but also the floors will be practical, easier to clean and maintaining so that you don’t have to strip again, and waterproofed so that rain and the elements don’t deteriorate and disintegrate your terra-cotta tile. So before you decide to trash those dirty saltillo tiles think twice. 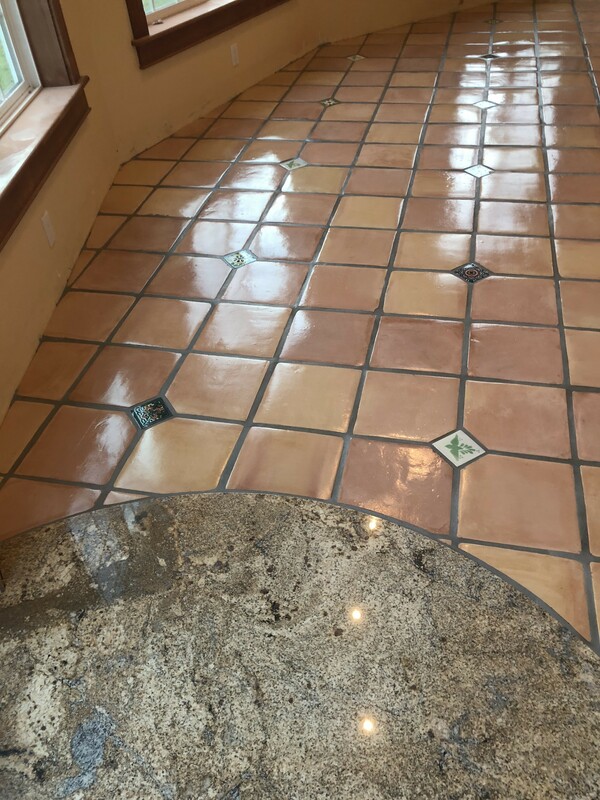 You could have rough diamonds that just need to be cut and polished by a real specialist, or should I say, you could have rough terracotta tiles that just need to be stripped refinished, cleaned, resealed, and restored. 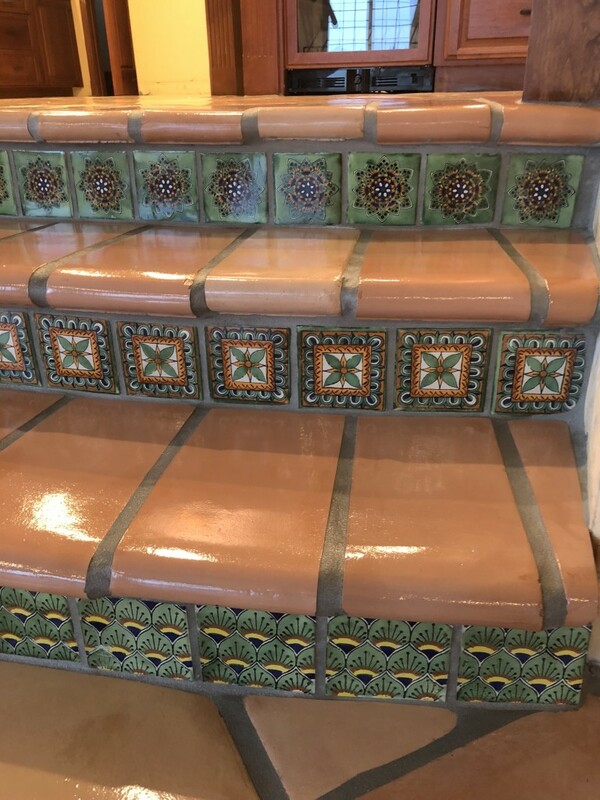 California Tile Restoration has stripped, refinished, restored, sealed and polished hundreds of terracotta tile projects in spanish style homes through San Francisco, Los Altos, Danville, Lafayette, Orinda Alamo Berkeley, Moraga, San Ramon, Walnut Creek, Bodega Bay, Napa Valley Wineries, Saratoga, Yountville. 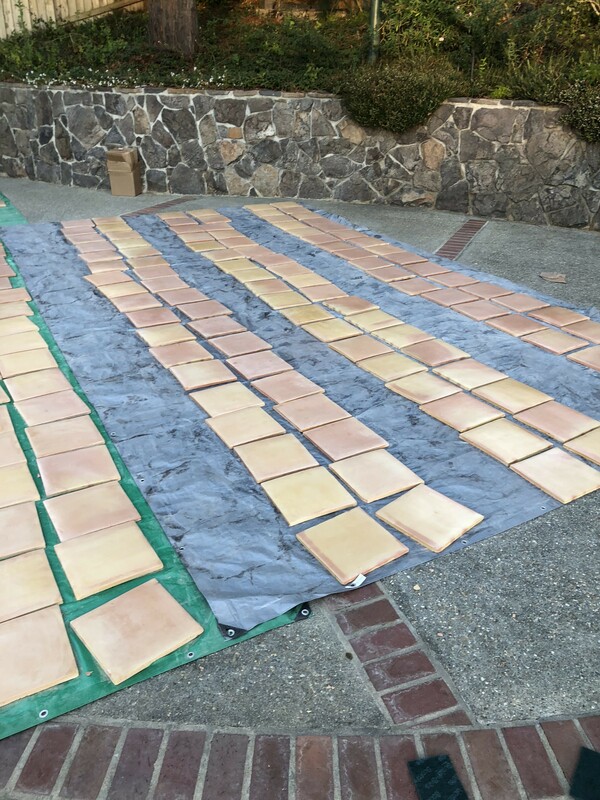 And also Refinished pavers in San Jose, Petaluma, Lake Tahoe, Gold Country, Novato, Kentfield, Greenbrae, San Anselmo, Fairfax, San Rafael, Lucas Valley, Sausalito, Mill Valley. 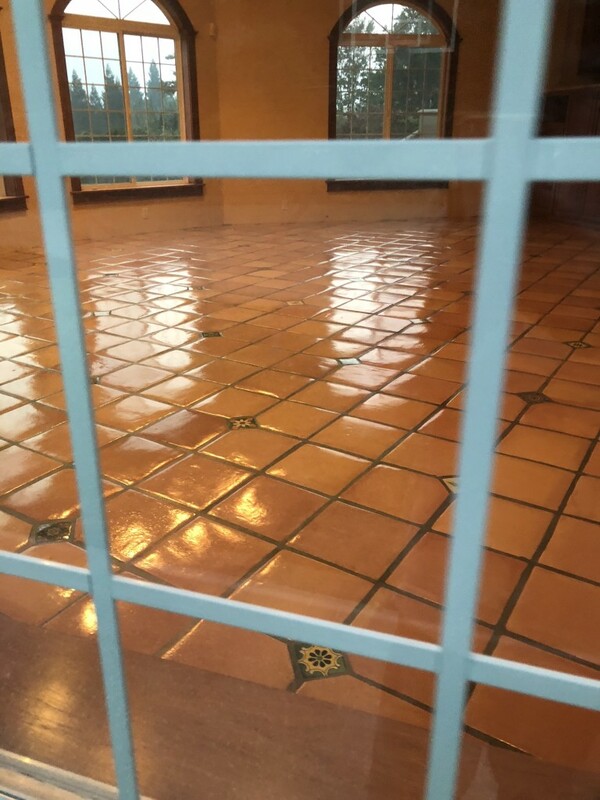 We refinish Saltillo tiles in Tiburon, Belvedere, Stitson Beach, Point Reyes, Sea Cliff, Corte Madera, Auburn, Grass Valley, Natomas, Carmichael, Sacramento, Modesto, San Joaquin Valley, Palo Alto, Nor- Cal and So-Cal. We have done projects in San Diego, Palm Springs, Stanford, Anaheim, Los Angeles, Santa Barbara, Encinitas, Orange County, La Mesa, Carlsbad, Long Beach, San Clemente, Escondido, Oceanside, Rancho Bernardo, Rancho Sante Fe, La Joya, Pacific Beach, Contra Costa County, Alameda, Carmel, Santa Cruz, Aptos, Atherton, Woodside, Burlingam, San Mateo, Livermore, Pleasanton, Milpitas.